The singer announced the name of the project in a personal note to fans. Kelela has revealed the title of her long-awaited debut album, Take Me Apart. "I'm writing today to acknowledge the miracle I live in and the undying support I've received from each and every one of you since the beginning," she wrote in a in a heartfelt note on Instagram. "I battled so much (mainly myself) during the making of this album, so I'm reaching out to thank you all for continuing to listen, for all the your loving comments and even that Judge Judy "You Late!" GIF." 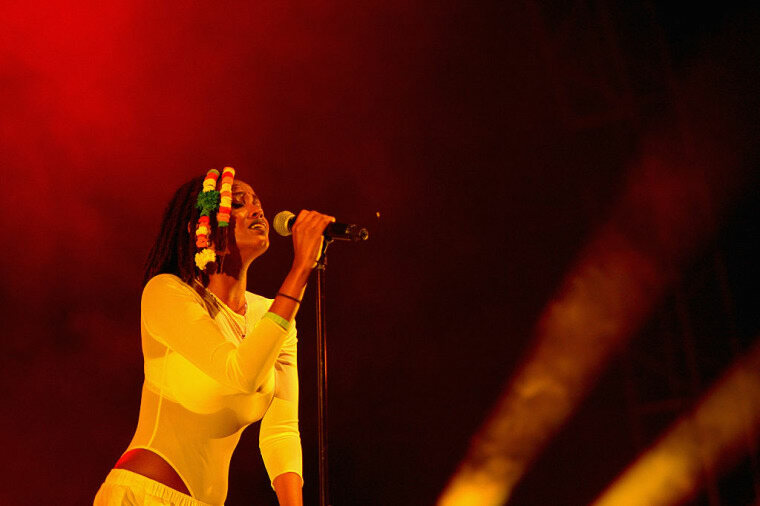 The album, which doesn't yet have a release date, will follow Kelela's Hallucinogen EP, released in 2015. She recently collaborated with Solange for "Scales" from A Seat at the Table. "I'm beyond excited to share it with you," Kelela wrote of her upcoming album at the end of the note. "More very soon."